German DIY chain Hornbach got social network terror by online users in various nationalities. 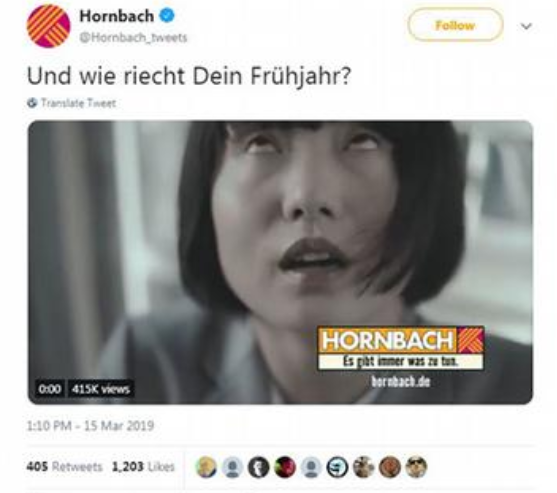 The issue of sexual targeting of Asian women in Germany has drawn attention following the advertisement of German DIY company Hornbach. 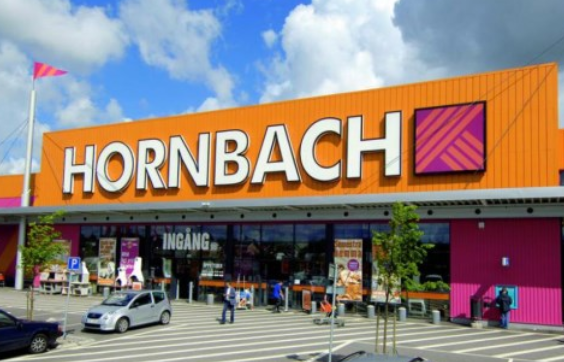 Hornbach posted a video ad on YouTube on Wednesday, about the underwear of five white men who worked sweating in the garden was vacuumed and sold at a city’s vending machine. The commercial ends with a scene where it seems like a Japan, a young Asian woman who bought underwear from a vending machine groans and turns her eyes upside down with joy as she sniffs the worker’s dirty underwear. The advertisement has also broadcasted to many other European countries via television. The issue of sexism and racism has issued by Sung-woon Kang, a Ph.D. student in media culture at Cologne University in Germany. He criticized the advertisement on Twitter, saying “An advertisement intended to give sexual fantasy of Asian women. He also started a hashtag movement called #Ich_warde_geHORNBACHt. 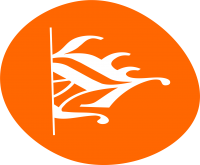 The movement was not only translated into German but also English, Korean and Japanese, spreading the fact to social media users around the world. It has also been translated into Chinese, Vietnamese and Thai, spreading the hashtag movement very rapidly throughout the world. As the ad became highly criticized, Hornbach posted an excuse letter at Twitter and Youtube, saying their ad is not intended to racism and sexism. Hornbach also suggested an open talk with the people who felt angry about their advertisement. However, the issue doesn’t seem to get ease, as Sung-Woon Kang refused the open talk, demanding Hornbach to remove their new advertisement from all media.